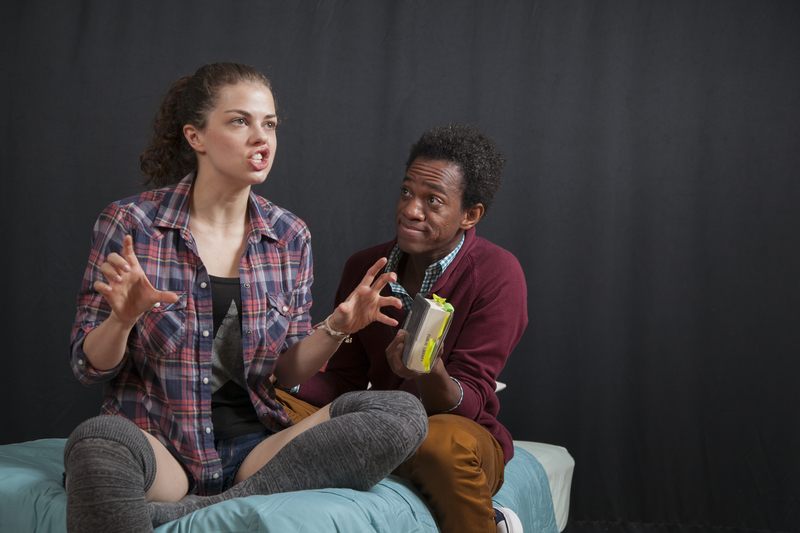 MRT's production of I and You is running Off-Broadway at 59E59 Theatres January 15 - February 27. They have more in common than they know. Caroline hates poetry. She’s also something of a loner. So just about the last thing she wanted was a complete stranger named Anthony walking through her bedroom door to work on a school project about Walt Whitman. But as the two very different teenagers uncover deep bonds, Caroline finds herself opening up in ways she never imagined possible. Their journey is an explosion of thought on art, connection, and identity that will warm your heart, with an ending that will leave you breathless. Receive discounts and behind-the-scenes news. MRT: Debut. NYC: The Foreigner (Catherine), The Heights Players; King Kong (Ann Darrow), Radio Theatre NYC; Twelfth Night (Olivia), Co-Op Theatre East. Regional: Amadeus (Constanze), Bus Stop (Elma), Center Stage Baltimore. Film/TV: Boardwalk Empire (Doris), Girls, Bait. Education: NYU Tisch Graduate, Stella Adler Studio. Other: For my ever supportive parents. MRT: Debut. Off-Broadway/NYC: For the Last Time, Clurman Theatre; The Snow Queen, NYMF/Signature Theatre; Dogsbody, LaMama E.T.C. Regional: Party People, Berkley Rep; Hundred Days, Z Space; Crime & Punishment, San Jose Rep; The Wiz, Berkley Playhouse; The Bereaved, Crowded Fire; The 4th Messenger, Ashby Stage; Titus Andronicus, Impact Theatre. Film: Rebound, Buzzer, Media Res. 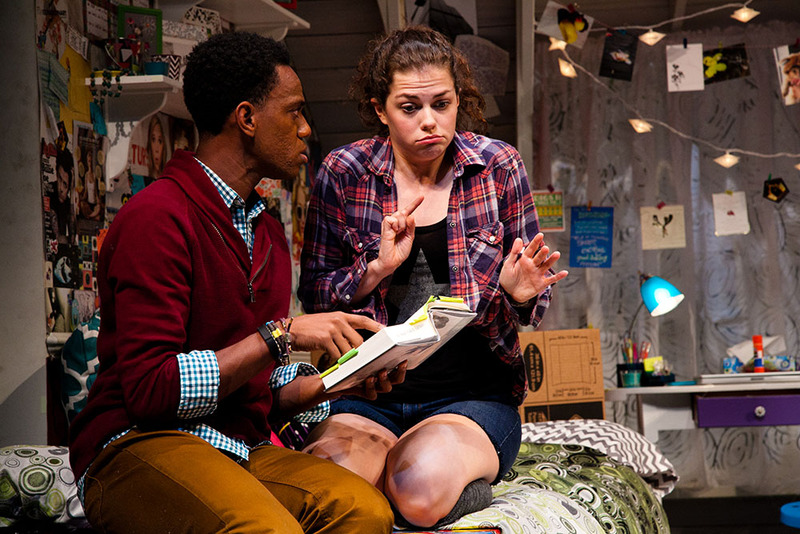 Education: Cal State Hayward & Atlantic Theatre Company. Other: Reggie also originated the role of Simon in Lauren Gunderson's Exit, Pursued By A Bear at Crowded Fire Theatre Company in 2011. Lauren Gunderson is a playwright, screenwriter and short story author from Atlanta, Georgia. She received her BA in English/Creative Writing at Emory University, and her MFA in Dramatic Writing at NYU Tisch, where she was also a Reynolds Fellow in Social Entrepreneurship. 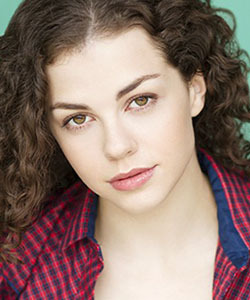 She was awarded the prestigious Steinberg/ATCA New Play Award for her play I and You (also a Susan Smith Blackburn finalist and featured in American Theatre magazine, July 2014), which was a National New Play Network Rolling World Premiere. Her play Silent Sky (Jane Chambers Award finalist) premiered at South Coast Repertory in 2011 and was further developed and rewritten for TheatreWorks, which opened to raves calling it "sheer magic." Her 2011 three-city rolling world premiere of Exit, Pursued By a Bear was featured in American Theatre magazine and The Week, and has reached 20 communities across the US, winning "Best Comedy" accolades. Bear is published by Playscripts, Inc., as is her comedy, Toil And Trouble, the second in her Shakespeare Cycle of modern comedies inspired by Shakespearean plays. Her first musical, The Amazing Adventures of Dr. Wonderful and Her Dog!, was commissioned by the Kennedy Center and opened to rave reviews and continues its life in a state-wide tour in Florida. Dr. Wonderful is becoming a series of children's books published by Amazon. 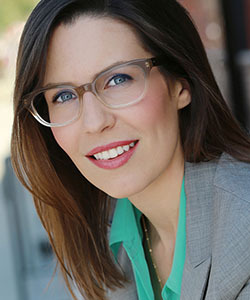 She is the co-book-writer for The Happy Elf, the Christmas musical with music and lyrics by Harry Connick Jr.
Emilie: La Marquise Du Chatelet Defends Her Life Tonight (published by Samuel French) was commissioned and premiered at South Coast Repertory in 2009, and has run across the country and in England. By And By, her Sci-Fi father-daughter drama, premiered with Shotgun Players in Berkeley in 2012. Fire Work was developed at the National Playwrights Conference at the Eugene O'Neill Theater Center, and is a 2011 winner for Aurora Theatre Company's Global Age Project, and will premiere at TheatreFIRST in 2014. She has developed plays with Second Stage Theatre, Red Bull Theater, and Primary Stages in NYC; New Repertory Theatre in Boston; Playwrights Foundation, Crowded Fire Theater, TheatreWorks, Aurora Theatre Company, and Magic Theatre in San Francisco; Kitchen Dog Theater in Dallas; Synchronicity, Actor's Express and Horizon Theatre Company in Atlanta; JAW: A Playwrights Festival at Portland Center Stage in Portland; WordBRIDGE, Brave New Works, and others. Her work has received national praise and awards including being a Steinberg/ATCA New Play Award winner, a Susan Smith Blackburn finalist, a Jane Chambers Award finalist, and winner of the Berrilla Kerr Award for American Theatre, Global Age Project, Young Playwrights Award, Eric Bentley New Play Award and Essential Theatre Prize. She has been commissioned by South Coast Repertory (three times), Crowded Fire Theater, the Alliance Theatre's Collision Project, Marin Theatre Company, Actor's Express, Dad's Garage Theatre, Theatrical Outfit, City University of New York and Synchronicity. Leap was published with The Playwriting Center of Theater Emory (2004), and her first collection of plays, Deepen The Mystery: Science and the South Onstage, is published with iUniverse (2006). She received a Sloan Science & Film Award (2008) for her screenplay Grand Unification, and her short story "The Ascending Life" won the Norumbega Fiction Award and was published in the anthology The Shape of Content; her science play Background was published in Isotope: A Journal of Literary Nature and Science Writing. Her string theory poem "Hook of a Number" was published in the anthology Riffing On Strings. She has spoken nationally and internationally on the intersection of science and theatre and Arts Activism, and teaches playwriting in San Francisco. She is a Playwright in Resident at the Playwrights Foundation, a Dramatists Guild member, and was a member of Just Theater's New Play Lab. She occasionally writes for The Huffington Post, tweets @LalaTellsAStory, and curates HowToPlaywright.com. 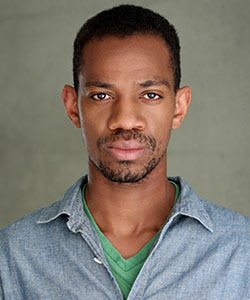 Sean is MRT's Artistic Director and also an accomplished director and creator of new work. He was most recently the Artist-At-Large at the Geva Theatre Center in Rochester, New York. He previously spent four years at the Tony Award-winning Actors Theatre of Louisville as the theater’s Associate Artistic Director. He was also Associate Artistic Director/Resident Director of the California Shakespeare Theater and before that spent a decade as the Artistic Director and Co-Founder of Dad’s Garage Theater Company in Atlanta. MRT: Debut. National Tour: A Christmas Story: The Musical First National Tour. 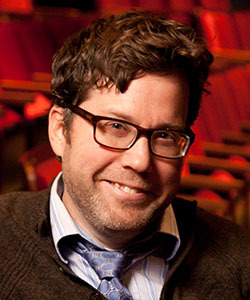 Broadway (Associate Scenic Designer): Allegiance, The River, Peter and the Starcatcher, Ann: The Ann Richards Play, Cyrno de Bergerac, The Importance of Being Earnest, Bloody Bloody Andrew Jackson, All About Me, White Christmas, Curtains. 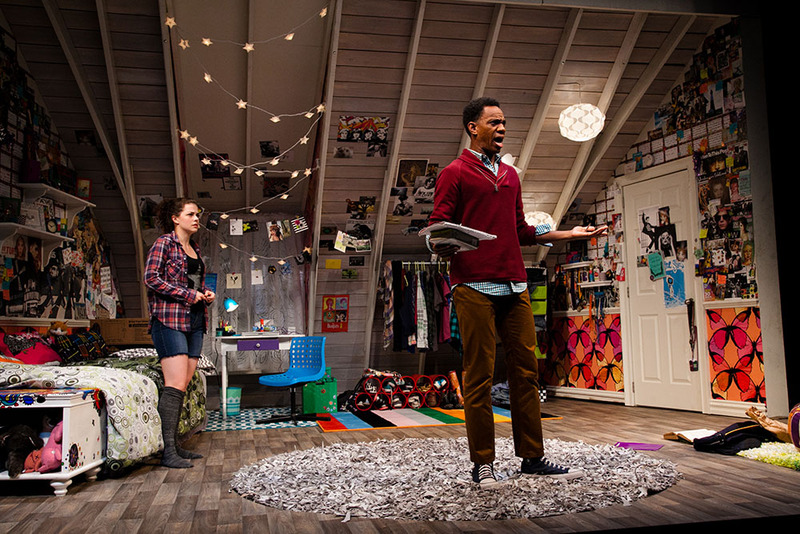 Off-Broadway: Skeleton Crew, Atlantic Theatre Company; The Happiest Song Plays Last, Second Stage; The Piano Lesson, The First Breeze of Summer, Signature Theatre; Life Could Be a Dream, The Marvelous Wonderettes, Three Mo’ Tenors, Pygmalion, Brando. Regional: Arena Stage, American Conservatory Theatre, McCarter Theatre, Williamstown Theatre Festival, Pasadena Playhouse, Two River Theatre, Cleveland Playhouse, Laguna Playhouse, Utah Shakespeare Festival, Northlight Theatre, Signature Theatre (Arlington, VA), Bucks County Playhouse, Ogunquit Playhouse, Arst Center, Musical Theatre West, San Jose Repertory, Center Rep.
MRT: The Lion. Broadway: 25th Annual Putman County Spelling Bee. Off-Broadway/ NYC: Primary Stages, Second Stage, Manhattan Theatre Club, Roundabout Theatre Company, Cherry Lane, La MaMa ETC, Culture Project, Theatre Row, Theatreworks, among others. Regional: Over 70 productions at regional theatres including: Dallas Theater Center, Geva Theater, Mill City Summer Opera, Florida Grand Opera, Opera Colorado, Opera Boston, Minnesota Opera, The Alley, Utah Shakespeare Festival, North Shore Music Festival. Williamstown Theater Festival, Papermill Playhouse, and Cleaveland Playhouse. International: Edinburgh Festival Fringe. Education: B.F.A. Ithaca College; M.F.A. Carnegie Mellon. 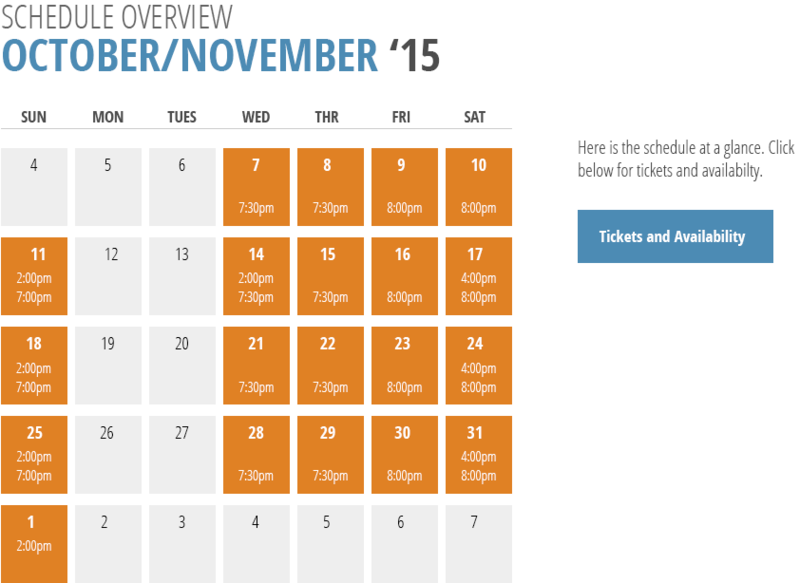 Other: Current National Tour of Joseph and the Amazing Technicolor Dreamcoat. Member U.S.A. 829. Faculty of Playwrights Horizons at NYU Tisch. MRT: Out of the City, 13 Things…, Year Zero, Stella and Lou, Glengarry Glen Ross, Memory House, Beat Generation, The Persian Quarter, The Exceptionals, A Picasso, Black Pearl Sings!, Tranced, A View of the Harbor, The Four of Us, Aunt Dan and Lemon, Squeeze Box, and Sanders Family Christmas. Regional: Over 250 productions at: Huntington Theatre; Arizona Theatre Co; Milwaukee Rep; Cleveland Playhouse; Pasadena Playhouse; South Coast Rep; Actors Theatre of Louisville; Cincinnati Playhouse in the Park; Arden Theatre; Trinity Rep; among many. Mr. Lilienthal has designed operas for Long Beach Opera; Bard Summerscape; and Portland Opera Repertory Theatre. Awards: Los Angeles Ovation Award for lighting design; nominated multiple times for Boston’s IRNE Award. Education: MFA: California Institute of the Arts. Other: Teaches lighting design at Tufts University; member of the Patriot Program at MRT; Resident Lighting Designer, National Playwrights Conference, Eugene O’Neill Theatre Center 2007-2015. MRT: Out of the City; Oceanside; The Best Brothers; Year Zero (original music and sound); Two Jews Walk into a War...; The Blonde, the Brunette, and the Vengeful Redhead. Recent: Broken Glass and Scenes from an Adultery, New Repertory Theatre; The Flick, Gloucester Stage Company; 77%, Martha’s Vineyard Playhouse; Everything You Touch and On Clover Road, Contemporary American Theater Festival; Mother and Sons, SpeakEasy Stage Company; Ulysses on Bottles, Israeli Stage; Women in Jeopardy!, Geva Theatre Center and Cape Playhouse. 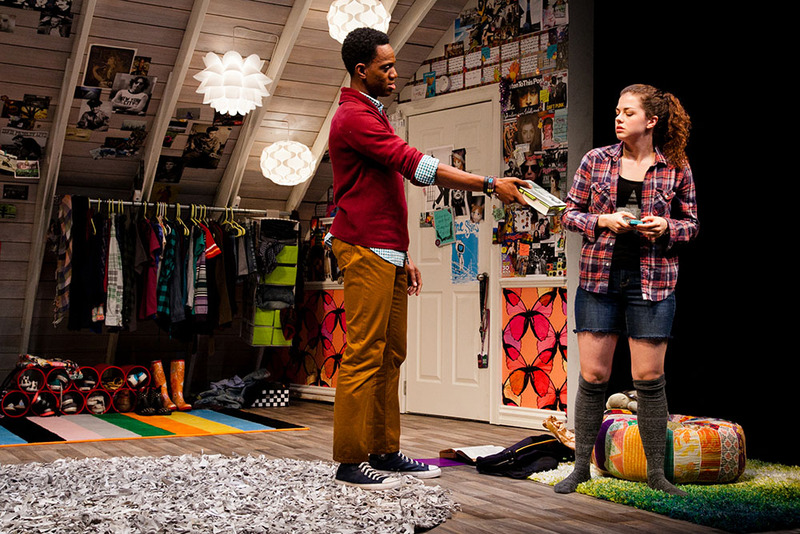 Regional: Huntington Theatre Company; American Repertory Theatre; Portland Stage; The Studio Theatre; Theatre for a New Audience; La Jolla Playhouse; Berkeley Rep; CENTERSTAGE Baltimore; Cincinnati Playhouse. International: Festivals in Bogotá, Paris, Hong Kong and Edinburgh. Awards: IRNE, Connecticut Critics Circle, Elliot Norton. David is a proud member of United Scenic Artists Local USA 829, and of MRT’s Patriot Program. remediossound.com. Broadway: Dames at Sea, A Gentleman’s Guide to Love & Murder, Lion King, Nice Work If You Can Get It, Born Yesterday, The Miracle Worker, Finian’s Rainbow, Brighton Beach Memoirs, A Chorus Line, Gypsy, 39 Steps, White Christmas, Is He Dead?, Inherit The Wind, Journey’s End, Butley, Virginia Woolf, Sweet Charity, Wonderful Town, Movin’ Out, 42nd Street, Music Man, Iceman Cometh, Charlie Brown, Sound of Music, Beauty & the Beast, Last Night of Ballyhoo, Chicago, King & I, Damn Yankees, Lost in Yonkers, Jerome Robbins’ Broadway, The Goodbye Girl. Film/TV: Dreamgirls, Chicago, Nine, Hairspray, Carousel (PBS/NY Phil), Six by Sondheim (HBO), So You Think You Can Dance. Regional/ Other: NY City Center Encores! series, Hartford Stage, West Side Story (San Francisco Symphony), Lyric Opera of Chicago, TUTS. Ten-time Artios Award winner. Headshots, PR photos and production photos (to come) from MRT's 2015-16 Season production of "I and You" by Lauren Gunderson, directed by Sean Daniels. Click on any image below for a slideshow of larger images. Caroline and Anthony discover Walt Whitman and a universal connection. Download a FREE copy of the I and You PlayGuide. Sean Daniels discusses I and You. Learn about the Cohort Club for exclusive behind-the-scenes access. Watch this space for behind-the-scenes video, interviews, and more. 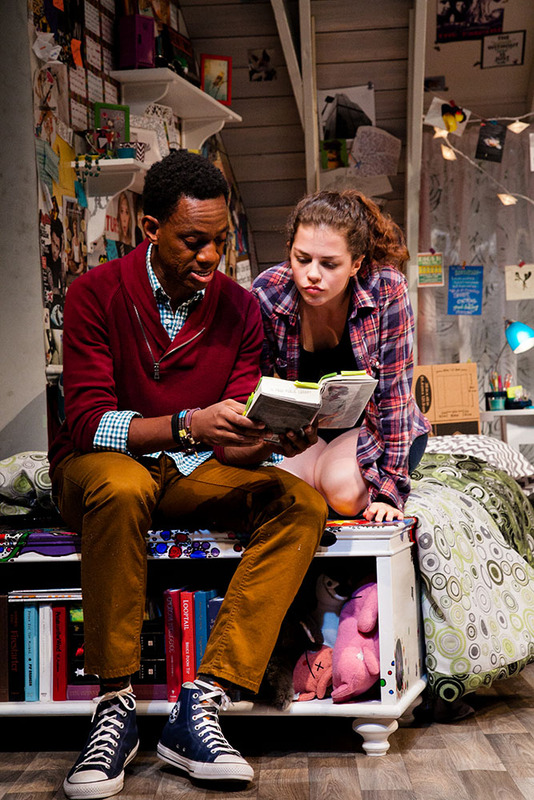 Boston Globe review: "Funny and moving by turns, 'I and You' is suffused with a warmth that does not cloy, an intimacy that does not stifle, and a wit that connects it all together." 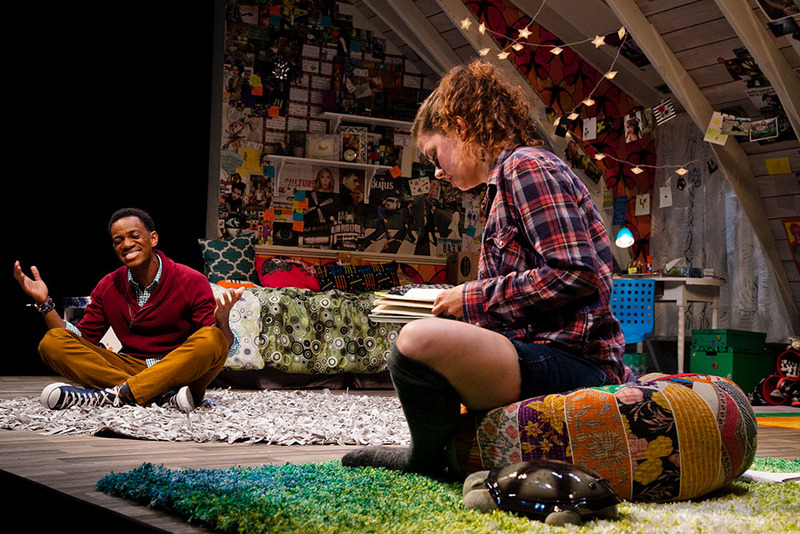 Lowell Sun review: "...this is the perfect time for 'I And You,' an award-winning play about two very different people trying to find the similarities in each other." Arts Fuse review: "...hilarious and powerful...a gem of a play that is guaranteed to make you gasp at its surprising conclusion and leave the theater reveling in its lush language and the outstanding performances." On Stage review: "I don’t just highly recommend that you see this show; I am telling you, you HAVE to see this show before it heads to Off-Broadway..."
Talkin Broadway review: "You will walk out of the theater unable to shake the impact of the last several minutes." Events Insider review: "While the draw for this play may be the well-advertised shocker of an ending (which DID elicit gasps from the audience), you will be glad you came, because after all, the play itself is the thing. The ending is just an interesting side note to a fun, moving and satisfying work." Broadway World review: "...in a deeply affecting 90 minutes, removed from the world below in a music and memento-filled attic, we have managed to share a lifetime, as well." Boston Globe Feature article: "As the play builds to a stunning climax, the two banter about topics of life and loss with increasing ease, and with Gunderson’s delightfully fresh sense of humor." Boston Globe Critic's Pick: "...playwright Lauren Gunderson has proven herself to be a voice worth listening to."